New electrical conduit fitted to 08405 – 08632 in the background has also received the same treatment today. 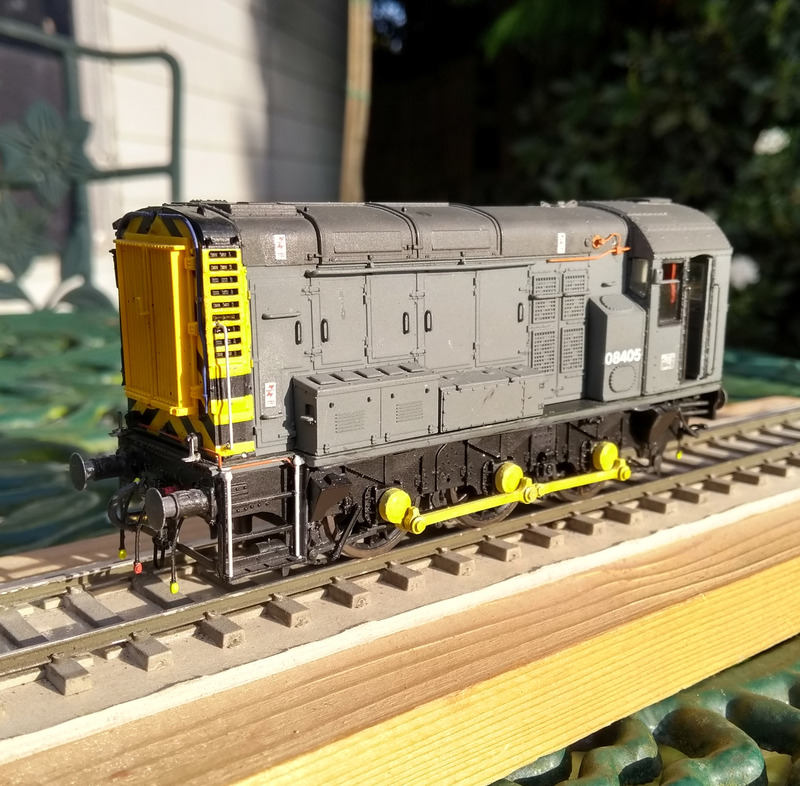 I’ve had a bit of time to spend on the first two class 08s for West Halton over the last couple of days. Both are getting to the stage where it’s details which are required. The Hornby model less so, but there’s plenty to add to the Bachmann model. Most of this will be pipework beneath the cab and valances. Both models are lacking the electrical conduit on the side of the ‘bonnet’ whose function I’m not entirely sure about. Answers in the comments please! I’m simply modelling what I see. And it’s surprising how much of a difference fitting this combination of 0,33mm handrail wire, Plastikard, plastic rod and a short bit of fine fuse wire actually makes. Applying the black around the window using a bow-pen compass. Much quicker than masking it all! The locos display an almost limitless number of livery variations – even what at first glance appears to be the same livery. Looking at those locos in plain grey display variations. Almost as if those painting them simply applied the black to the cab windows as they felt on the day! 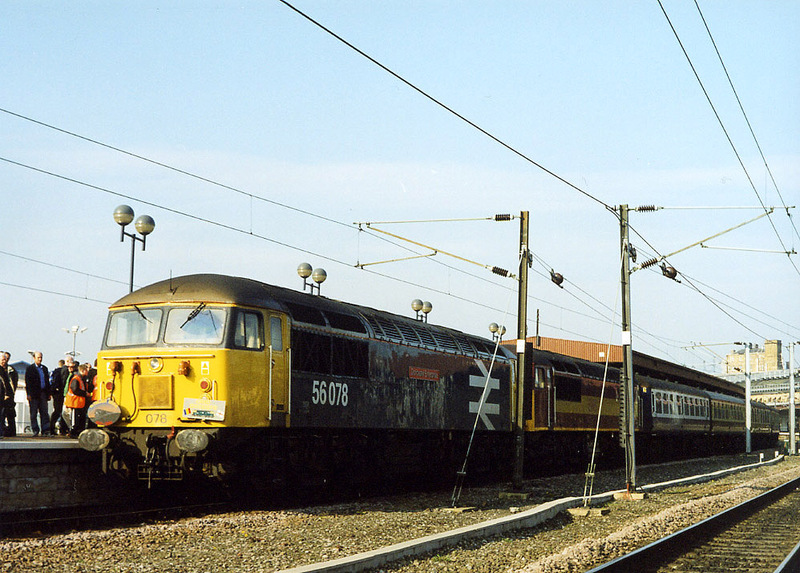 08405 had quite a small area of ‘black’ only around the side windows and by the cab doors. I say ‘black’ as I didn’t use black. It’s actually a mix of Humbrol Tank Grey no. 67 and Matt Black no. 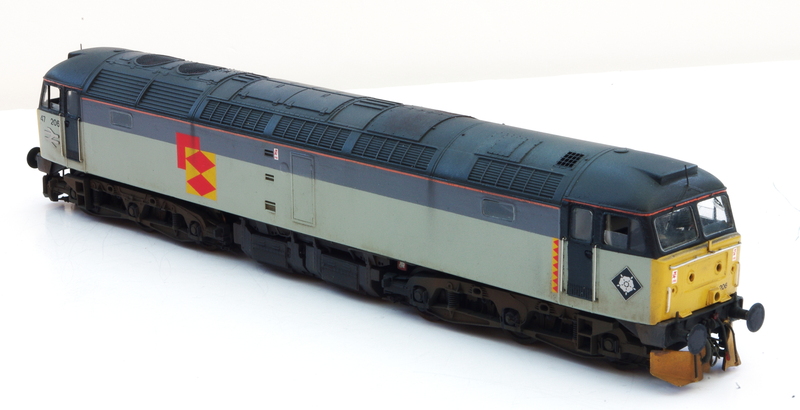 33 to take the edge of the colour and blend in with the rest of the slightly faded appearance the loco displayed. The rest of the black is added with a fine brush. Rather than mask and spray the colour I applied it with a bow pen compass, where I can easily follow the edges. The technique is more usually associated with lining steam locomotives, indeed this is where I have used the technique normally, but it does have its uses for diesel locomotives. So, we’re getting there with these. Slowly but surely. Time passes too quickly. And without you really noticing at the time. I mean, it’ll be twenty two years this year since The Verve released Urban Hymns. To me, that still seems like a fairly recent album. Clearly it’s not… I’ve even noticed #20YearsOfBWitched appearing on Twitter – it doesn’t seem like they have been around twenty years. And in a similar but not as extreme way I hadn’t realised it was about six weeks since I last touch the Judith Edge Janus but I managed to have a decent bit of time on it over the weekend. The current state of things – bonnets nearly completed, just handrails and bonnet door handles required. To be honest, I’m probably complicating things to a degree with how much time I’ve spent on certain aspects – that’s aside from travelling to Scunthorpe to measure one! Trying to make the radius around the radiator grilles as large as possible where the front panel meets the rest of the bonnet is a good example. Trying to make this as large as possible to improve the appearance without affecting the structural integrity of the bonnet. It’s slow work, care needs to be taken to make sure it’s consistent all the way round. The sub assemblies which have so far been partially completed. I’ve also changed my mind a couple of times on the exact form which the suspension will take. Originally I was going to have three point compensation with no fixed axles I think I’ll go back to the simple three point compensation with one axle fixed in place – which means I’ll have to reinstate the fixed bearings! I do like sprung locomotives and stock, they tend to glide along and be quite elegant. These things, in my memory, didn’t glide they bumped about, especially when driven in a less than sympathetic manner. It’s the most fashionable of approaches, indeed I’ve seen people make ‘luddite’ sort of remarks about people still using compensation instead of springing! One thing in favour of continuing to use it is that it is very easy to set up, very reliable and not as sensitive to the exact distribution of weight within the model. The instructions suggest simply using bent wire for the bonnet door handles, but I’m not so sure. 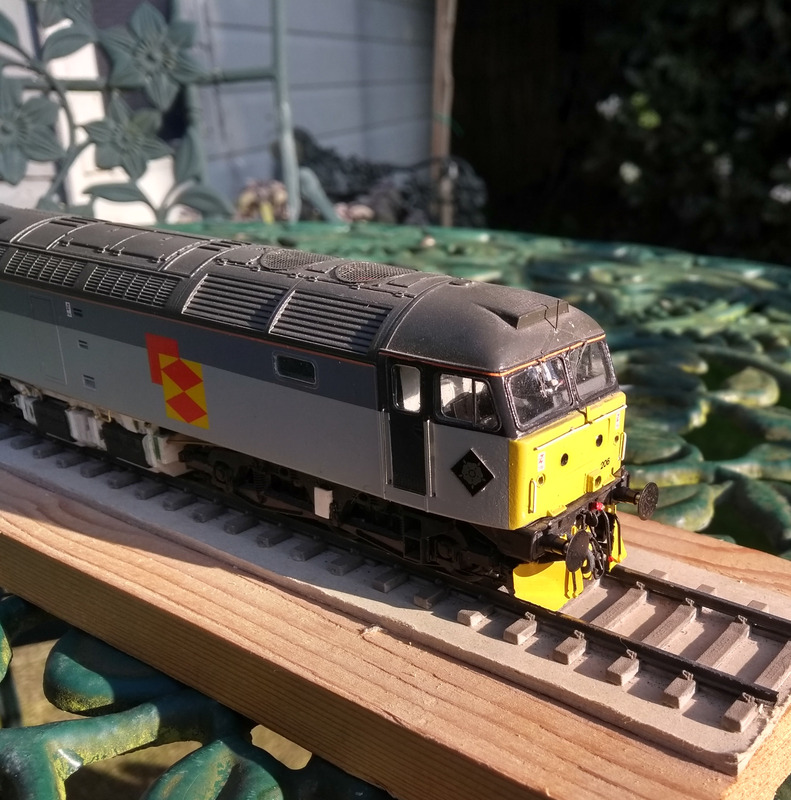 So I’m going to see if N gauge/2mm scale handrail knobs can be used/modified to represent these – I recently used 4mm scale shoulderless ones from Alan Gibson for an 0 gauge project and that seemed to work quite well. It wasn’t a Janus, by the way, but an LNER A6… I think it’s the little things like this which will really make the difference. We’re getting there though, slowly but surely. Whilst re-wheeling the Hornby 08 is quite straightforward the original pick ups don’t really work with the new wheels. You could tweak them so they might do, but it wouldn’t be perfect and could cause problems in the future. Replacing the pick ups is surprisingly straightforward and should provide a nice, solid and reliable solution. The new pick ups – surprisingly straightforward. The basis for it is simply two PCB sleepers (well, I used some 2mm scale point timbers, but normal 4mm scale sleepers will work just fine, they’d probably be more solid! ( which are Araldited in place, using Super Steel Araldite. The two pieces of PCB are linked by two bus bars of 0,45mm handrail wire, to which the wires to the motor are soldered. The pick ups are 0,3mm phosphor bronze wire which works very well – I also use 0,33 brass handrail for pick ups, this works just as well. I guess I use what ever is to hand at the time! The one downside of the pick ups is that the wheels are now trapped – it would be possible to remove them, but the simplest thing may be to remove the pick ups and bus bars to effect maintenance. However, the need to remove the wheels will hopefully be very occasional, if ever. It becomes very important to ensure the new wheel sets are checked and double checked before they become a semi -permanent feature of the model. This is one of the main reasons I chose to pin the final drive gear to its axle. Original keeper plate in place, nice and discreet and protecting the new pick ups. The keeper plate needs only a little bit of fettling to fit once the new pick ups are installed – this is really just to clear the exposed parts of the PCB. The result is one which is neat, reliable and durable.